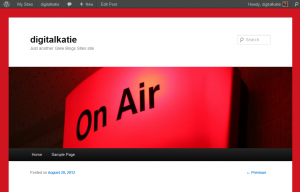 Today we set up blogs. We are using WordPress blogs because it is used a lot as a way to create websites for small businesses and its an industry standard blogging tool. It’s also free! We thought we’d try the new Glew platform. The advantage of using WordPress is if we want to move the blogs somewhere else we can easily export them out. 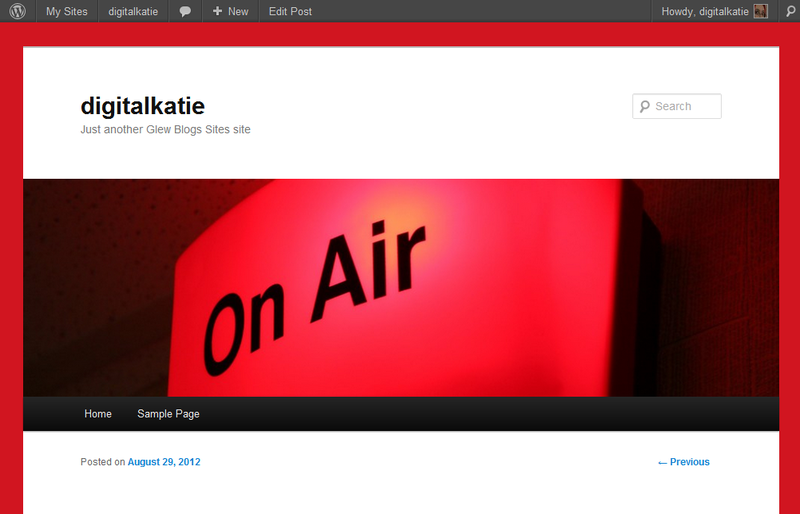 We setup our blog, tried changing the theme and appearance, added posts and added categories. Everyone then tried to add posts talking about some of the work we have done so far. This entry was posted in Internet and Online Communication, Ms Farrell's blog, S3 DMC, S5-6 DMC, Web Design, Weblogs. Bookmark the permalink.